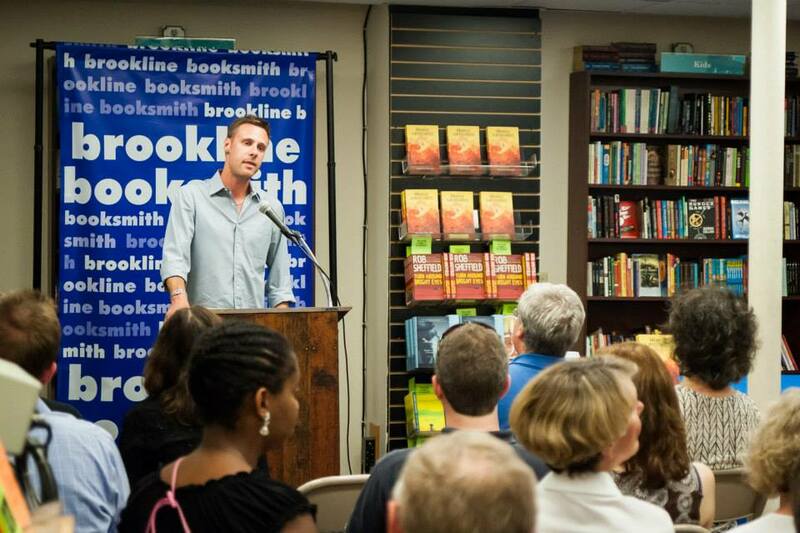 We launched Horse Latitudes in style at the incomparable Brookline Booksmith. It was a lot of fun with a great turnout and no shortage of cheese and wine—like any good literary event. Many thanks to the good people at MP Publishing USA for putting it together as well, of course, to Jamie Tan and Katie McCarthy the events folks who hosted me so generously at Booksmith. (Jamie also rescued me from a blizzard at Winter Institute and saved me a spot on her events calendar, while Katie, who is, it turns out, a miraculous stand-up comedian, oversaw the event and provided the kind of author introduction I definitely don’t deserve and will never forget). Thanks all for coming out. Meanwhile, as the major press run goes into production it’ll be a little longer wait to find Horse Latitudes on bookshelves or in your mailbox—unless, of course, you hit up Brookline Booksmith where there are still some of those early copies available. Also, this year at AWP, Guy Intoci, the editor who acquired Horse Latitudes, was nice enough to introduce me to the neo-noir underground—a wild group of writers, readers, and editors, and (by the look of their hotel suite) bon vivants who seemed to have some pretty specific ideas about how to navigate the anxiety of an AWP bookfair. Anyway, this past August I had the good fortune to be interviewed by a couple of them, Pela Via and Misty Bennet, the keepers of all things noir, at ManArchy Magazine. We talked Horse Latitudes, Will Christopher Baer’s cult classic, Kiss Me, Judas, and even a little medieval lit. Check it out—if only for the banner–and check out, also, one of the gang’s newer projects, The Booked. Anthology. Also from earlier this summer—and this shows how far behind I am here—my friend and grad school professor William J Cobb (author of, most recently, The Bird Saviors, a semi-dystopian neo-Western with heart), gave Horse Latitudes a kind shout-out on his blog.